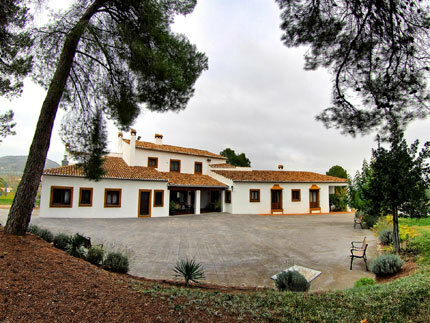 The Santa Elena country house, which is situated 10 kilometres from the city centre of Ontinyent in Valencia, has 8 bedrooms with a bathroom. It has a maximum capacity for 16 people. The hotel offers free Wi-Fi and a swimming-pool in its facilities, pets are not allowed. Guests may also use the washing-machine and there is a night laundry service.